Tirana was established as the capital of Albania in 1920. The development of the modern city has started in the 1930s. The main boulevard of Tirana, starting from the Faculty of Natural Sciences itself and ending at the Mother Teresa Square (or the main building of the Polytechnic University of Tirana) resembles the figure of an axe if photographed from above. It was designed by Italian architects during the fascist government of Mussolini. Tirana has a mixture of Italian, Soviet and modern architecture. The Palace of Culture and National Museum have been build during the communist regime. They are located at the Scanderbeg Square, the main square of Tirana. They have a typical soviet architecture found also in other cities of the former Eastern Block. 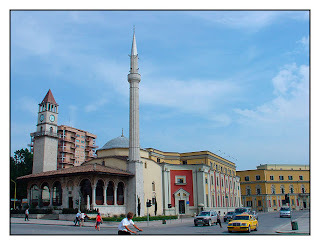 At the Scanderbeg Square is also located the Mosque of Ethem Beu, one of the founding buildings of Tirana during it's early Ottoman years. Other than it, there are also new Catholic and Orthodox cathedrals that make an unique example of religion tolerance that dominates Tirana and the whole Albania. During the long transition to democracy years, the mixture of old and new buildings was not always well studied. Therefore Tirana offers a real example of a society in transition and the urbanistic damage done to the city itself because of it. Archaeology enthusiasts can visit the Tirana archaeological Musem located at the same building of the Rectorate of the University of Tirana. It contains about 2000 exposed objects found all over Albania. Tirana has one of the youngest populations of Europe. This is reflected in the dynamic nature of the city and makes the most beautiful part of it. The Block, the neighborhood where the former Political Byro of the People's Republic of Albania lived, was banned from the other citizens during the regime. Nowadays is one of the most crowded neighborhoods of Tirana, home of many office headquarters and hosting most of the city's nightlife. 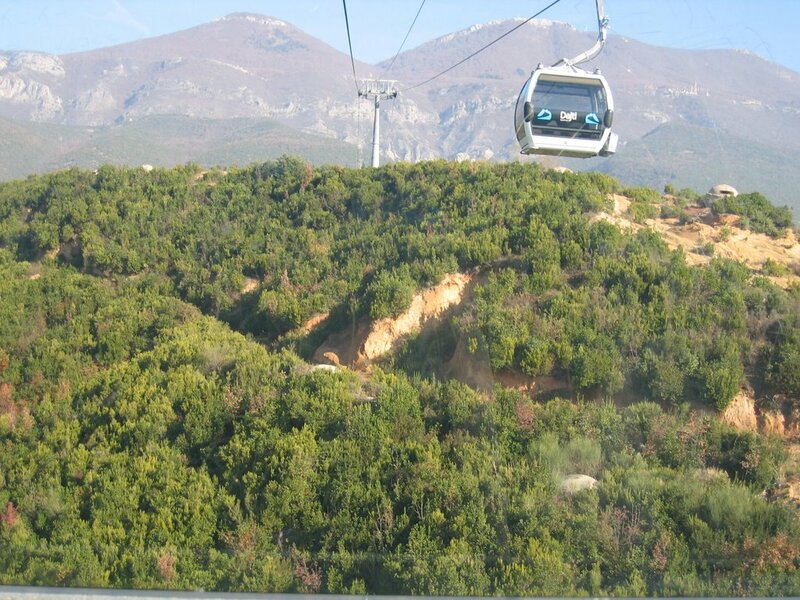 Nature lovers can enjoy the mountains surrounding Tirana. Indeed, the whole city is like an amphitheater surrounded by hills and mountains. The Dajti Mount, 1650m can be easily reached through a cable car ride that takes approx 12 minutes. Other than the nature, you can also enjoy a fantastic view of Tirana from there, or taste the traditional food served at many restaurants in the Mount Dajti Natural Park.